Ranger Archival Inks produce lasting results in a classic palette of rich, fade-resistant, water-resistant colors. 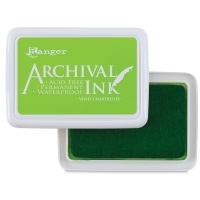 Archivally safe for all your paper projects, these inks provide crisp, stamped images over waterbased dye inks, alcohol inks, acrylic paints, and watercolors. The inks are acid free, non-toxic and permanent on most paper. On glossy surfaces, inks should be heat set to ensure permanency. 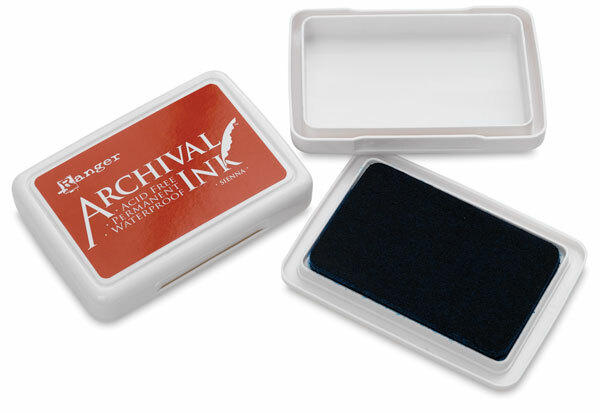 Jet Black is ideal for stamping open images to be colored with ink, markers, or pigment powders. Re-inkers are available in 0.5 oz (15 ml) bottles.